Antique Dollhouses. 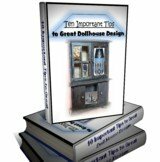 The Vintage Queen Anne Dollhouse exposed. To start with Lady Anne had a royal background. As would be expected by the name. If anything could be more obvious to us the word "queen" is a dead giveaway. And yes we are being funny when we state that fact. However when was she in power? Well she reigned from March 1702 to August 1714. She was also born and lived between February 6, 1665 – August 1, 1714 and had no children. What about her Miniature Mansion? Concerning antique dollhouses though, truly we are not as interested in her reign or the years of her life as we are in her dollshouse. Are we? Now tell the truth... We definitely just want to know the "skinny" about the vintage doll house and the history lesson we will leave for someone else. Okay so what it looks like is... Anne was a revered lady of her day. So basically speaking as with what happens at times... Someone, namely Richard Shaw in the 1860s, in honour of her began constructing houses in England with her name attached to them. 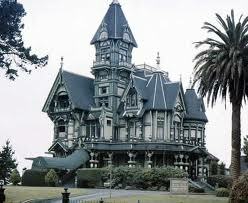 And what beautiful houses he constructed. Later these same housing patterns came to America where others began constructing them. The very first house that arrived in North America is slightly hard to pin point. But enough said... it was early such as in the mid 1800s to the early 1900s... It obviously had to have been after the first ones in England were created in the mid 1860s. This is where people presently have copied styles of particular eras and made them into classic antique dollhouses. The two pictures featured here indicate that's just what has happened. On the right: North American house copying the Queen's style of England. This first video comes with music. If you like quiet just don't turn on the sound. But this doll house is amazing. Look at the very fine details they have added and drool. Enjoy, and begin to think of your own desires in construction. Yes it can be as nice! We encourage you! This second video gives you ideas as to how the assembly of your doll's home should go. And our advice? Read the instructions FIRST. Sale: ? ? ? ? 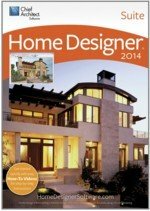 Whether you're currently living in a today atmosphere in your construction journey, or copying from some other century with your existing doll house projects... 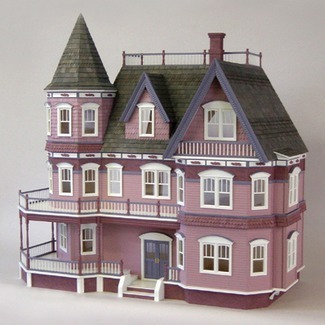 Always be looking in historical events to add interest and grandeur to all you plan for your antique dollhouses today.